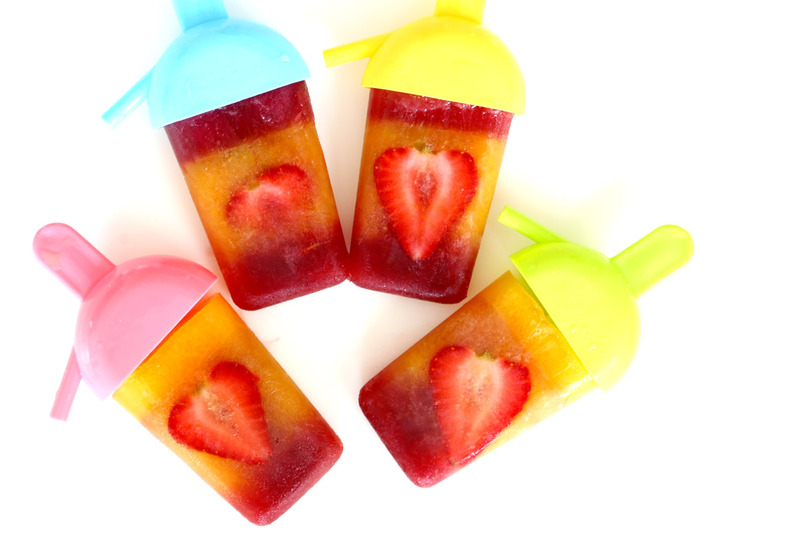 This coming Christmas, you can consider making these MARIGOLD PEEL FRESH Fruit Juice Popsicles as an after-meal party dessert and cooling treat. 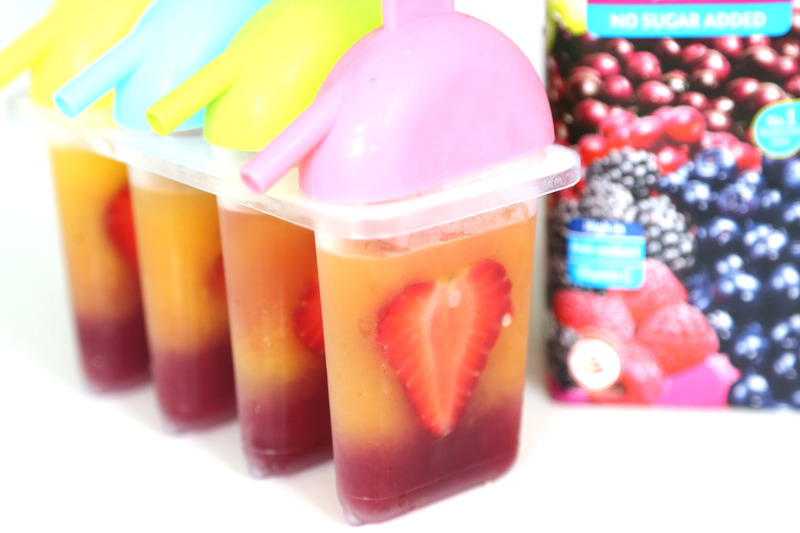 These are simple to make, fun to eat, and you can choose to include a variety of your favourite summer fruits. I used the MARIGOLD PEEL FRESH No Sugar Added range for my health-conscious friends. 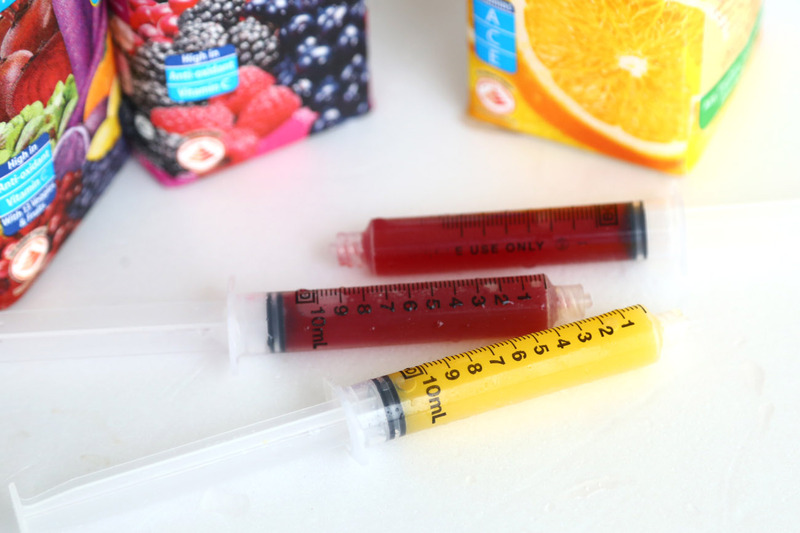 Plus, I find that this is an effective way to get kids to ‘drink juice’ because some may be averse to vegetable juices, but get attracted to colourful Popsicles. 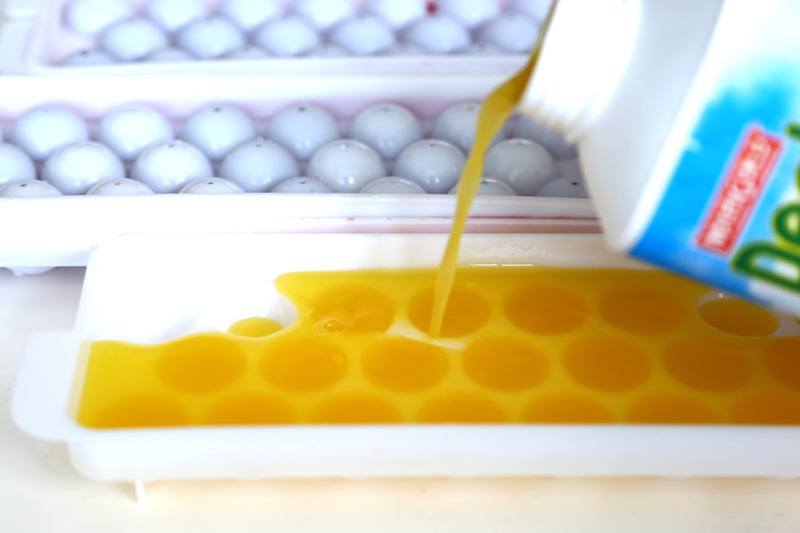 The moulds can be easily bought from some major supermarkets, Mustafa, or Daiso (for only $2). 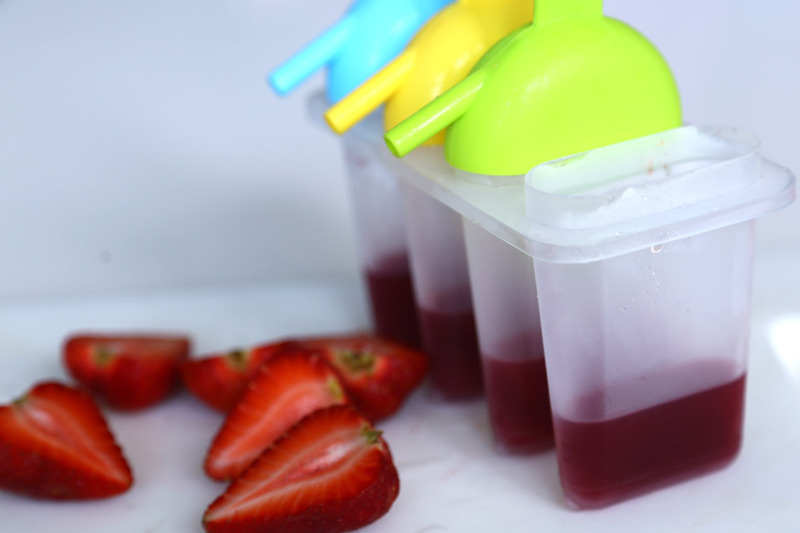 The popsicles come off the mould easily, and the handle doubles up as a drip pan to catch the juice as it melts. 1. 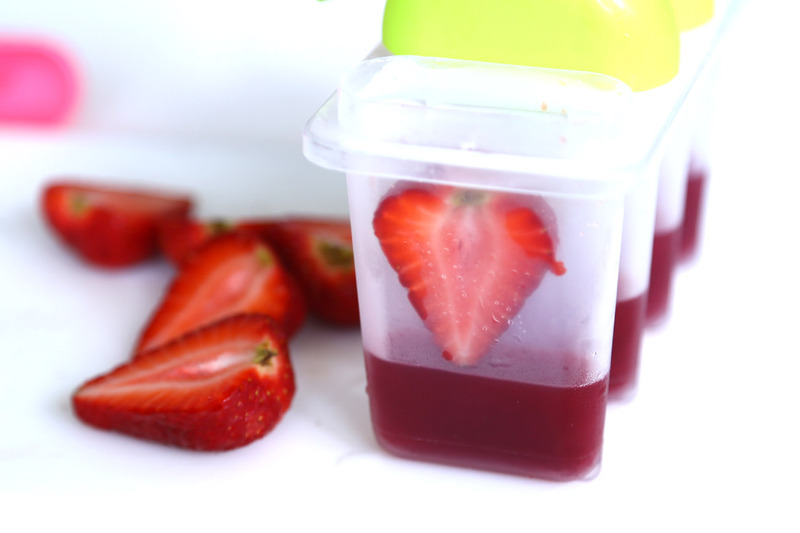 Pour MARIGOLD PEEL FRESH Powerberries or Powerveggies into the bottom of the Popsicle module. Fill up to a third of the height. 2. Freeze for a few hours, or overnight. 3. Thinly slice the strawberries so that they can easily fit into the Popsicle mould, but are still large enough to be seen. 4. 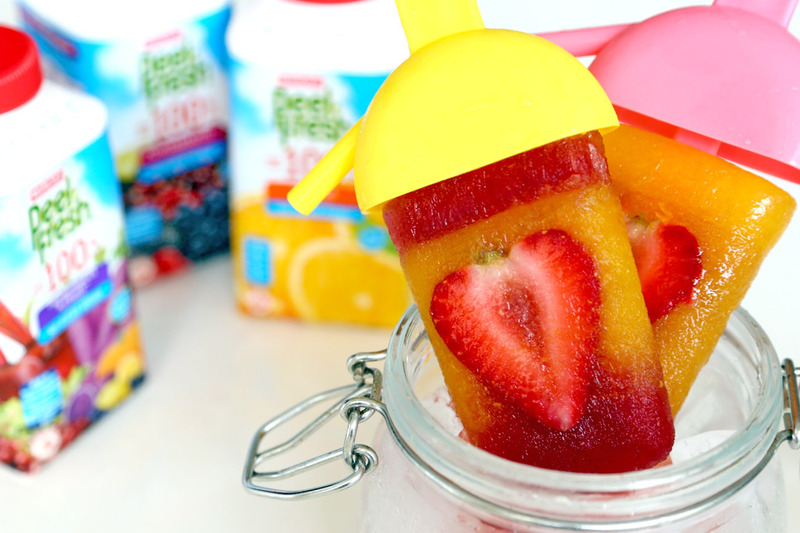 Fill the rest of the Popsicle moulds with PEEL FRESH Orange. 5. Insert the Popsicle stick. Then freeze for a few hours, or overnight. 6. 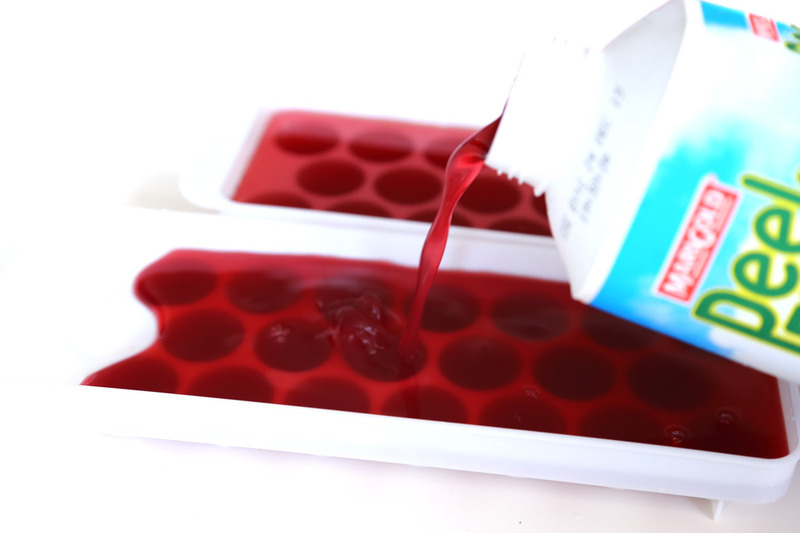 To remove the popsicles, run the mould under water for 10 – 15 seconds. 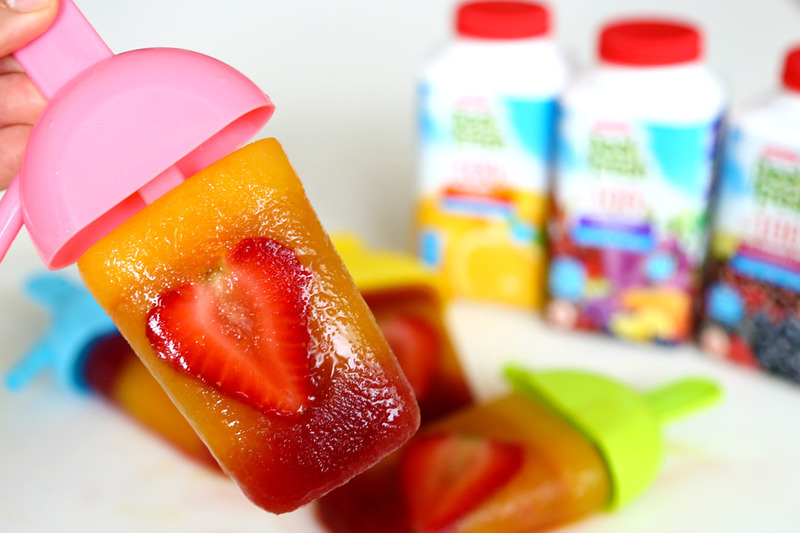 Slowly and carefully remove each Popsicle. Freeze immediately till ready to serve. 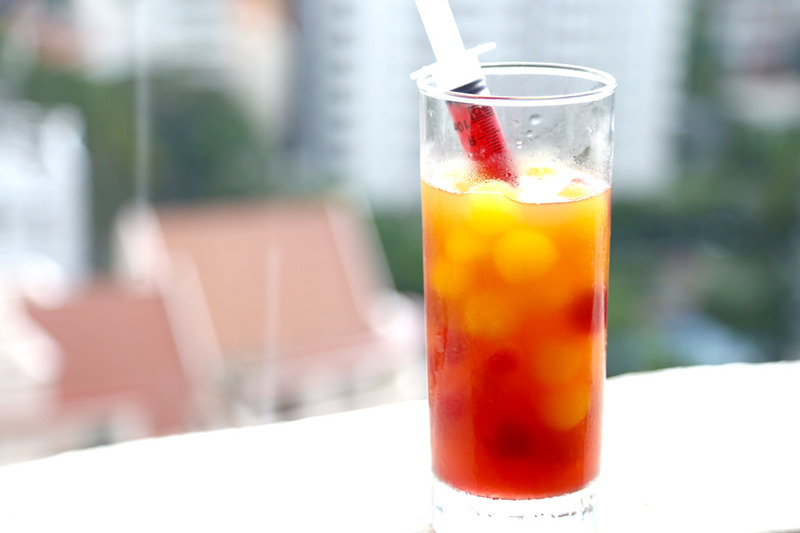 Tip: You can use a single juice, or alternate with different juices for a more colourful effect. Of course, that will also require more time for freezing and layering. Some juices freeze better than the others. I find that Orange and Powerberries work well together. 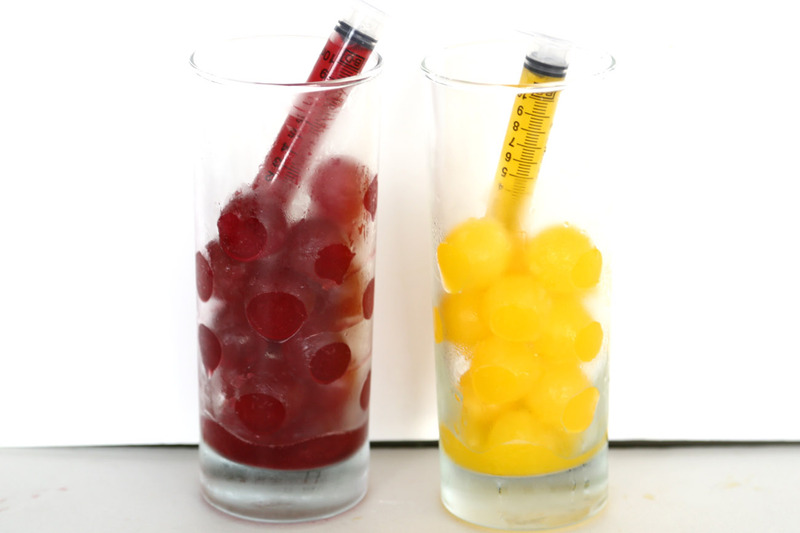 Sphere ice moulds are used because they remind me of Christmas balls and grapes, especially when Powerberries are used. But the typical cube ones will work fine as well. 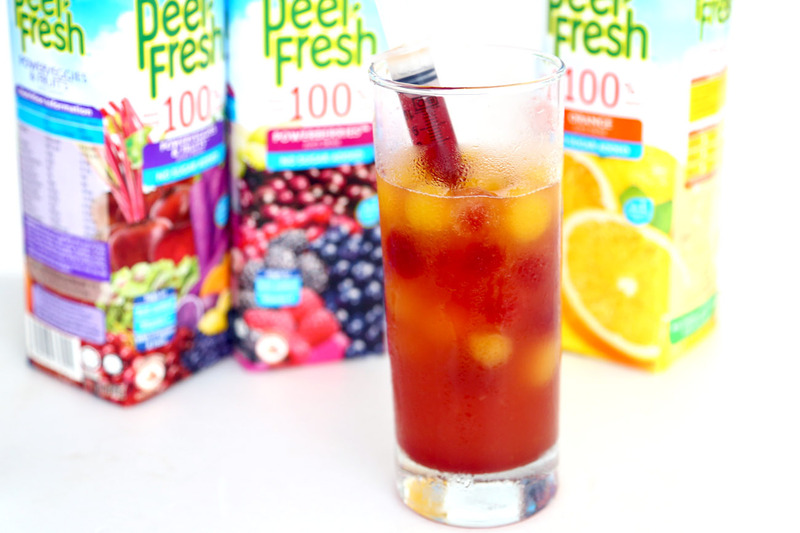 –	MARIGOLD PEEL FRESH No Sugar Added range – Orange, Powerberries. –	Ice mould (Sphere ones can be bought from Daiso). 1. 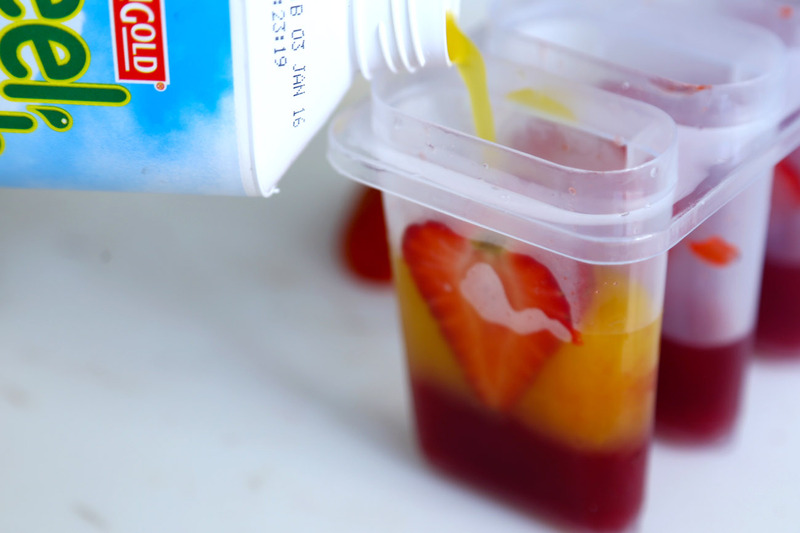 Pour MARIGOLD PEEL FRESH Powerberries and Orange into ice cube moulds. 3. 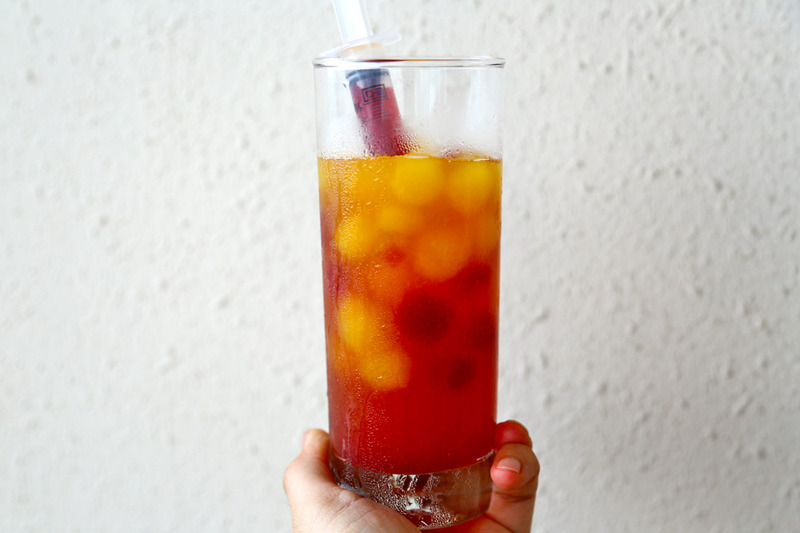 Fill up a tall glass with the cubes, OR Powerberries Ice Cubes at the bottom, Orange Cubes at the top for a more colourful effect. 4. Pour soda water in and serve. –	Follow @peelfreshsg, upload a picture on Instagram of what can fill you up with joy this Christmas with a MARIGOLD PEEL FRESH pack. –	Stand a chance to win a shopping spree! $500 x 5 winners. –	Period: 1 – 19 Dec. Winners will be announced on 22 Dec 2015. * This post is brought to me in partnership with MARIGOLD PEEL FRESH. ← 10 Best Claypot Dishes In Singapore – So Hot, So Comforting, So Shiok!